Central Tibet tour is considered to be the most popular route in Tibet. Lhasa is the capital of Tibet Autonomous Region. It is regarded as the "Holy City" by Tibetan people. The city sits on the north bank of River Lhasa, at an altitude of 3,700 meters. It has a history of over 13 centuries. With more than 3,000 hours of sunshine annually, Lhasa is famed as the "City of Sunshine". There are many historic sites and famous relics in the city proper and its suburbs, among which the Potala Palace, Jokhang Temple, Drepung Monastery, Sera Monastery and Ganden Monastery are world famous. On the way to Gyantse we can have a look at Yamdrok Tso Lake,which is one of the four holy lakes in Tibet. Shigatse is Tibet's second largest city. The city is slightly higher than Lhasa, at 3,900 metres. Tashilumpo Monastery, the seat of Banchen Lama, is a place travelers should never omit. Today our representative (Guide) will receive you from Airport/Railway Station. Introducing himself and the driver and offering warm welcome with Khaada/Mala/White Scarf. Khaada is Tibetan traditional welcomming and blessing scarf which consist meaning of goodluck too. Lhasa Gongkar Airport is 70kms from the Lhasa city. Lhasa Train station is about 5kms from the city. From airport you will start you sightseeing. 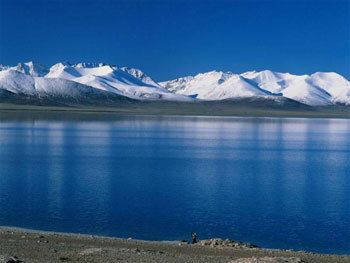 This sightseeing consists of Lhasa River and Yarlungzanpo River. Nevertheless your trasportation will not stop on any of this spot but you can ask the driver to stop for some few shot from your camera. Other scenic are mountains and the Nyetang Giant Buddha. We suggest clients to not to sport on first day and have complete rest for acclimatization.You will be dropped to the assigned hotel. Overnight in Hotel. Sera Monastery: Sera was founded in 1419, by Jamchen Chojey (Sakya Yeshe), a disciple of Tsong Khapa.Like the Drepung and Ganden monasteries, it had several colleges: Sera Mey Dratsang, built in 1419, gave basic instruction to the monks. Sera Jey Dratsang, built in 1435, was the largest, and was reserved for wandering monks, especially Mongol monks. Ngagpa Dratsang, built in 1559, was a school for the teaching of the Gelukpa tantras.Young monks printing scriptures. Sera housed more than 5,000 monks in 1959. Although badly damaged following the invasion of Tibet and the Cultural Revolution, it is still standing and has been largely repaired. In 2008, it housed 550 Buddhist monks, but the number dropped till date. Norbulinka Monastery: The park was begun by the 7th Dalai Lama beginning in 1755. The Norbulingka Park and Summer Palace were completed in 1783 under Jampel Gyatso, the Eight Dalai Lama, on the outskirts of Lhasa. and became the summer residence during the reign of the Eighth Dalai Lama.The stables of the Dalai Lamas in Norbulingka, photographed in 1986.The earliest building is the Kelsang Potang Palace built by the Seventh Dalai Lama which is "a beautiful example of Yellow Hat architecture. Its fully restored throne room is also of interest." The 'New Palace' was begun in 1954 by the present Dalai Lama and completed in 1956. It contains chapels, gardens, fountains and pools. The gardens are a favourite picnic spot and provides a beautiful venue for theatre, dancing and festivals, particularly the Sho Dun or 'Yoghurt Festival', at the beginning of August, with families camping in the grounds for days surrounded by colourful makeshift windbreaks of rugs and scarves and enjoying the height of summer weather.The palace is located three kilometers west of the Potala Palace which was the winter palace. Additional buildings were added to the park during the first half of the 20th century. There is also a zoo at Norbulingka, originally to keep the animals which were given to the Dalai Lamas. Overnight in Lhasa. Tashilunpo Monastery: Tashilunpo Monastery was founded in 1447 and is the largest Yellow Hat sect monastery in Tibet. Shigaste is Tibets 2nd most important city and Tashilunpo was the seat of the Panchen Lamas. Tashilunpo contains chortens, temples and the Panchen Lama?s palace. At its peak, Tashilunpo had more than 4,000 monks in its 4 monasteries. Upon the death of a Panchen Lama, it was the 4 abbots of these monasteries that would lead the search for his infant reincarnation.The monastery is a striking red, white and black Tibetan structure with a golden roof. Within the monastery there is a 5 story temple, which contains a 26 meters (86ft) sitting statue of the Maitreya Buddha. The statue was cast from 6,700 ounces of gold and over 115,000 kg of copper, making it the biggest copper Buddhist statue in the world. The massive Thangka wall at Tashilunpo can be clearly seen from most points in Shigaste. The wall is used for displaying enormous Thangkas - religious painted banners - for only a few festival days each year.